Erin Robinson Swink, new creative director of UC Santa Cruz’s master’s program in games and playable media, creates games with whimsical ingenuity and joy. Her independent gaming company, Ivy Games, recently released “Gravity Ghost,” in which the player floats through space, depicted as a relaxing swirl of colors along with a beautifully composed soundtrack. Unlike many video game formats, there are no deaths or stress. It’s a game that contrasts the standard notion of gaming and in a lot of ways so does Robinson Swink herself. The game was released in January 2015 and was funded by Robinson Swink’s personal savings. Robinson Swink has a academic background in psychology but was attracted to games from childhood. She grew up playing video games, usually samples of games her dad brought home that she played with her brother. But as a teenager, she felt like there was nothing appealing to her. Her feelings are similar to a majority of young women now. According to a December study conducted by the Pew Research Center, only 9 percent of young women between the ages of 18 and 29 consider themselves to be “gamers.” Comparatively, 33 percent of men of the same age feel the term describes them well. Despite not always identifying with the term “gamer,” women are certainly playing like them. The same Pew survey found that even though 60 percent of Americans believe most people who play video games are men, the divide is fairly even between genders. The Pew survey found 48 percent of those playing games are female. “There aren’t as many game developers to be proportionate to the percentage of players that [women] are,” Robinson Swink said. 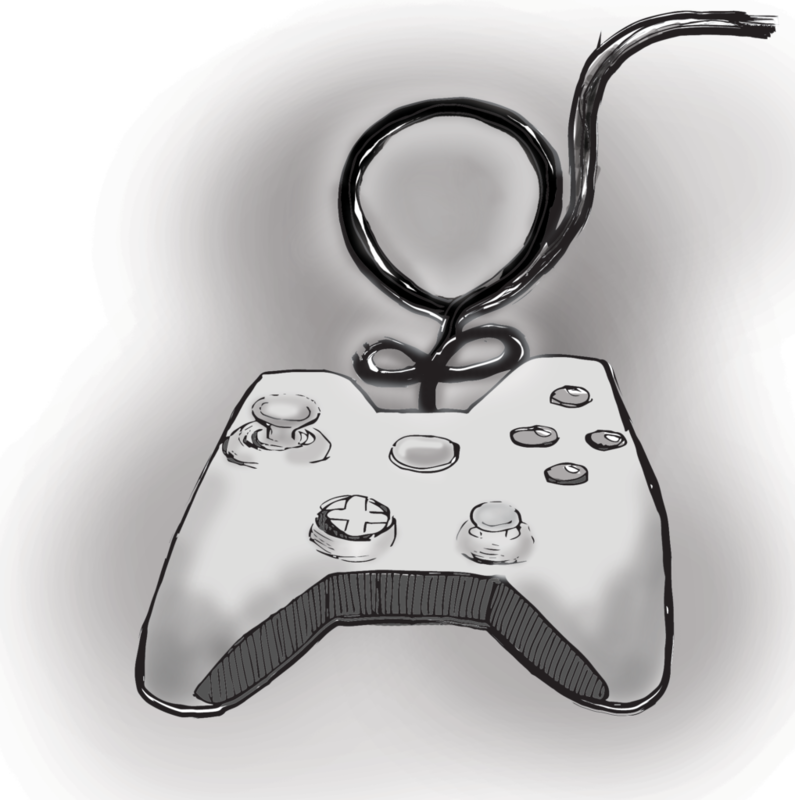 At UCSC, female students in the undergraduate game design majors make up 14 percent of the major’s declared and proposed students. The lack of women as game developers stems from the same issue. In 2013, The Boston Globe reported women made up 11 percent of game designers and 3 percent of programmers. There are overall fewer women holding positions and pursuing educations in STEM — science, technology, engineering and math. In 2011, the US Bureau of Labor Statistics reported that women make up 48 percent of the American workforce but hold less than a quarter of STEM-related jobs. “Women should definitely not only have a place at the table using technology but also helping to create and shape the technology that impacts our lives,” said Adrienne Harrell, director of Undergraduate Student Affairs at the Jack Baskin School of Engineering. Harrell helps female UCSC students create technology through her position and involvement in campus groups like Project AWESOmE — Advancing Women’s Education in the School of Engineering. The project is a community-focused space for female students in computer science and game design to come together to communicate and collaborate. Harrell believes an inclusive environment is possible if people are more intentional in their interactions, especially with women and girls. The number of women students at UCSC enrolling in STEM majors has increased slightly, from the 14 percent of Jack Baskin Engineering students in 2012. “One of the most important aspects of the programs at UCSC is that we are creating a safe space for all types of creators that encourages them to share what is unique about their own lived experiences,” said game designer and producer Robin Hunicke in an email. Hunicke wears multiple hats, including being the director of the games art and design bachelor’s program, associate professor in the art department and co-director of the center for games and playable media. She’s experienced as a game creator and producer, and is a major advocate for women in the industry. Inclusion is an important aspect of the UCSC interdisciplinary master’s program, which is growing and stretching significantly at only two years old. Hunicke was hired in 2014, and recent hires also include program director Michael John and computational media professor Katherine Isbister. Erin Robinson Swink and other staff members of the games and playable media master’s program believe the program has an exciting future ahead.